It is hard to believe but in just a blink of an eye, it will be spring/summer again! 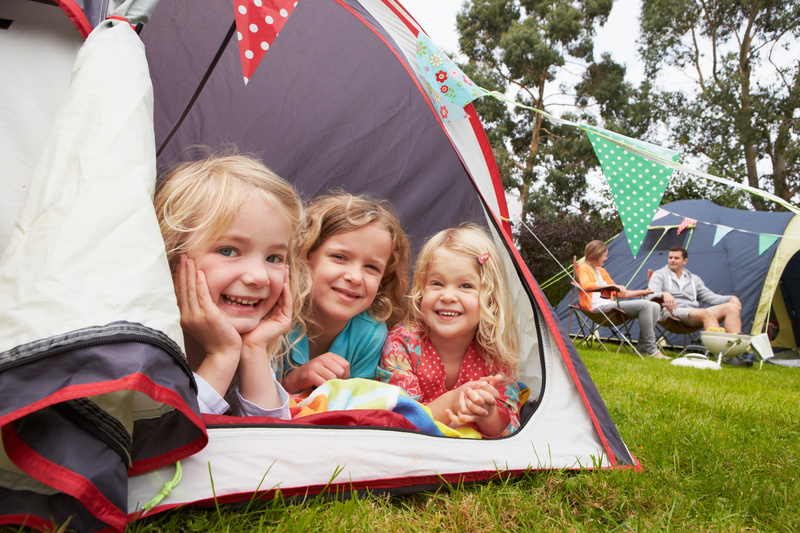 This is the perfect time to take a camping trip as a family! 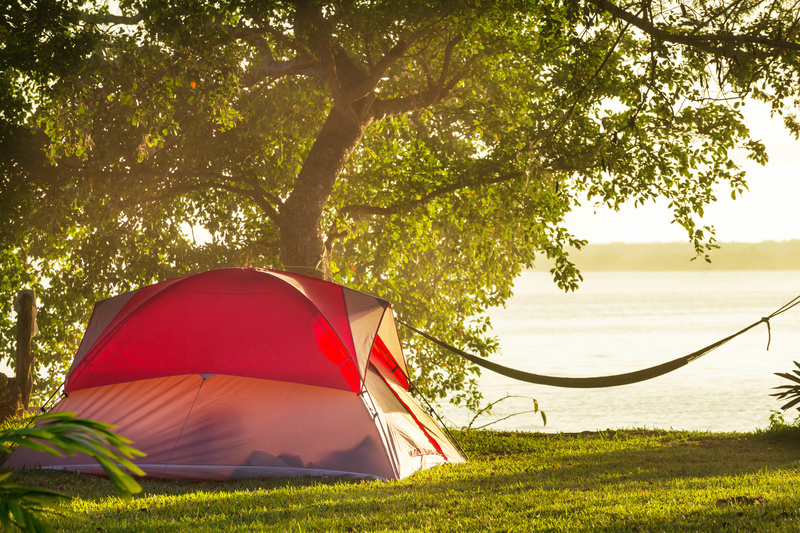 Camping is fun but it is lots of work and you want to take just the right supplies to make it a happy trip! 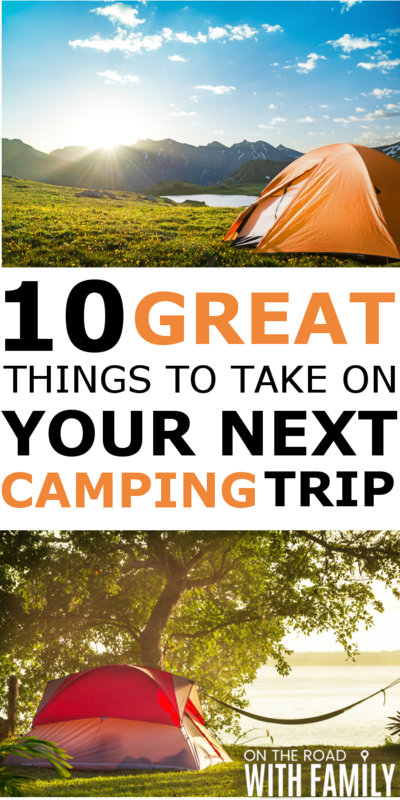 Here are 10 things to take on a camping trip! Hammock – A hammock is a wonderful way for you to relax with a good book or nap while camping. You get to sleep in the great outdoors and/or stargaze. Even if you don’t want to sleep in it during the night it is a great way to rest during the day! Outdoor Activity Bag – We always have a big duffel bag filled with balls, frisbees, and gloves. You can also pack a bag with bubbles, sidewalk chalk (check with campground before using) and other small toys! Grill Set – Campgrounds supply the grill but you want to bring your favorite grill set to cook with that includes your cooking utensils and marinades! You also want to bring paper plates, napkins, utensils, and cups! Swim-gear – It wouldn’t be camping without swimming! The kids will love the campground pool and it helps to cool off on those hot days! Bikes & Bike Carrier – You don’t need bike carriers without bikes! Most campgrounds have special bike trails and if not, it’s always fun to ride the bikes around the park! There are several bike carriers out there and they are wonderful to attach to your car, truck, or camper and it makes transporting the bikes easy and secure! S’mores – Campfires at night are so much fun! You can sit around and share ghost stories, or just chat! You have to have supplies for s’mores because they are SO good and make the campfire experience even better! Bug Repellent & Sunscreen – Bugs can be really bad in the great outdoors so make sure you have some sprays/lotions that help keep the bugs away. And don’t forget the sunscreen to protect your skin! Colorful Camping Lights – I just love all those pretty lights you see on everyone’s campers, I know some think they are cheesy but have a little fun and spruce on your space with some pretty lights! They are not only pretty but help in seeing in the dark. Flashlight – There is nothing worse than having to walk to the restroom at a campground without a light! You will need a flashlight to get around at night and to see around the tent! Tent or Camper – Camping would not be fun without shelter so don’t forget that!! It may be a pop-up camper, an RV, or just an awesome tent! Camping is so much fun! It is a great way to create intentional time with your family and have memories you will remember forever! What do you take camping? I would love to add to the list! Angela is a writer and a professional blogger who loves to travel. 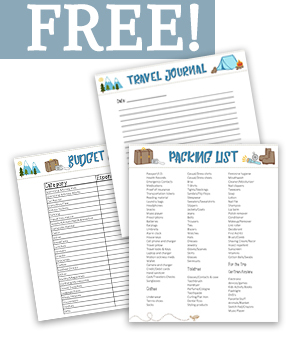 She is a wife and mother of 3 and has a passion for family travel! She believes taking children places is education at its best and loves that it creates memories that last a lifetime! She also loves great books, spending time at her pool, and chocolate!